It has been an unbelievable couple of weeks for Liverpool Football Club, and there is a massive buzz around the terraces of Anfield ahead of Bournemouth’s visit in this late Saturday kick-off. Fatigue may again be an issue, as it was in the closing minutes of their draw at Everton last weekend, but Jurgen Klopp’s men have continually proven they have the talent to overcome that. Though this match carries little significance for the Reds, a second-placed finish is still within reach. Where the visitors are concerned, their battle for survival is all but won. No team below Bournemouth seems capable of getting a good return from difficult run-ins. ‘The Cherries’ will, however, need to be more consistent to get a second successive top-half finish. Liverpool’s unbeaten Premier League (PL) home record speaks for itself, and stands at W10, D6. A 5-0 win over Watford in their last home game is testament to just how much damage ‘the Reds’ can do when on song. Mohamed Salah continues his march towards the Golden Boot, he has 15 goals from his last 13 appearances in all competitions – he has failed to score in just two of those games. Joshua King (BOU) comes in after scoring in back-to-back PL games for the first time this season. Liverpool have a tremendous record against Bournemouth, having lost just once in all competitions since their first meeting in the FA Cup in 2013/14 (W6, D1, L1). 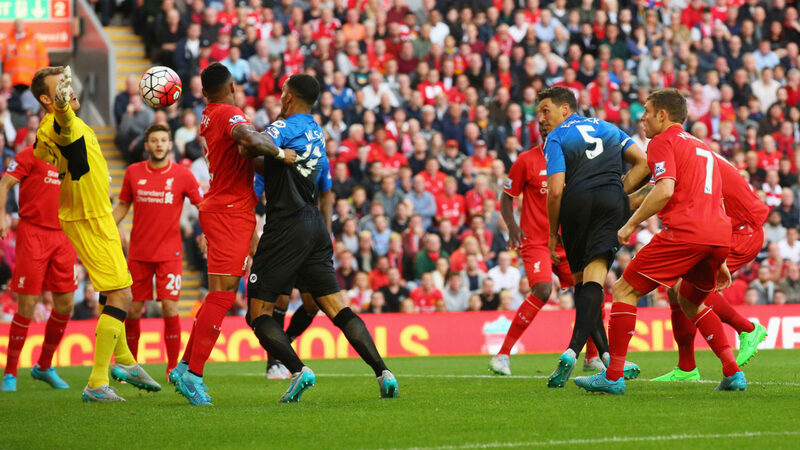 The Merseysiders have also scored first and/or scored a first half winner in seven of their last eight games against Bournemouth.